ADHD is characterized by symptoms of being easily distracted, restlessness, always moving and cannot stay still, as well as talking excessively. However, it is not nearly as common as it should be due to a misdiagnosis, environmental factors, and medical science deeming everything as a mental disorder. In those cases, we need to look much harder for what is causing the behavior, not how to treat the symptoms of the behavior. ADD and ADHD, what are they and what is the problems with the diagnosis? Let’s talk about that now. Hi everyone! We are going to be discussing ADD and ADHD, the diagnosis, and the problem with the rise of the diagnosis. ADD stands for attention-deficit disorder. 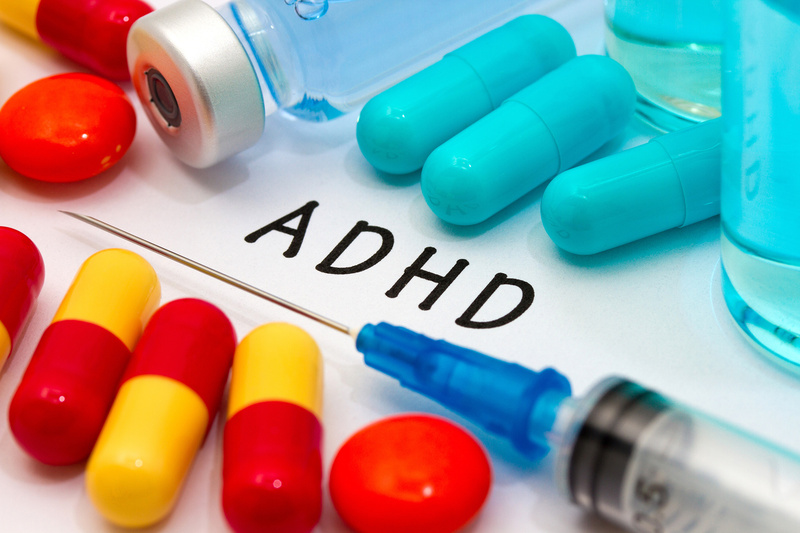 ADHD stands for attention-deficit hyperactivity disorder. ADD is often not a term used anymore, so I will be calling the condition ADHD from here out. 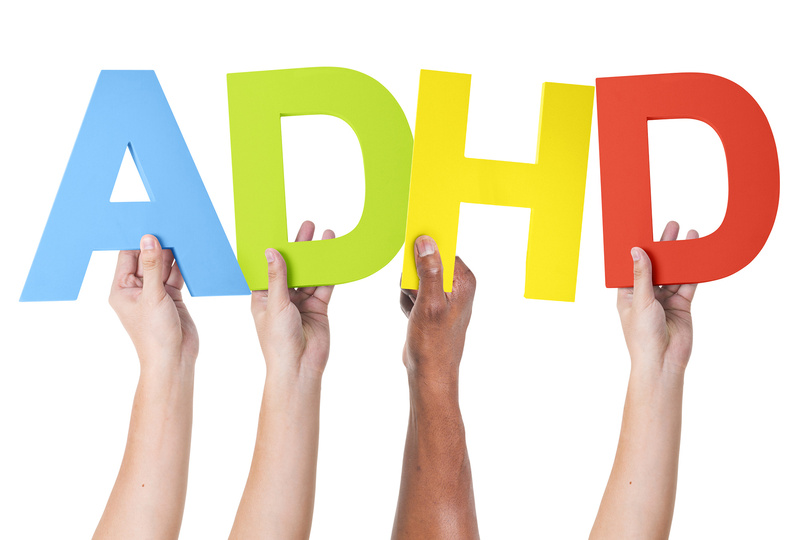 Often ADHD is divided into different categories such as inattentive, hyperactive, and impulsive. 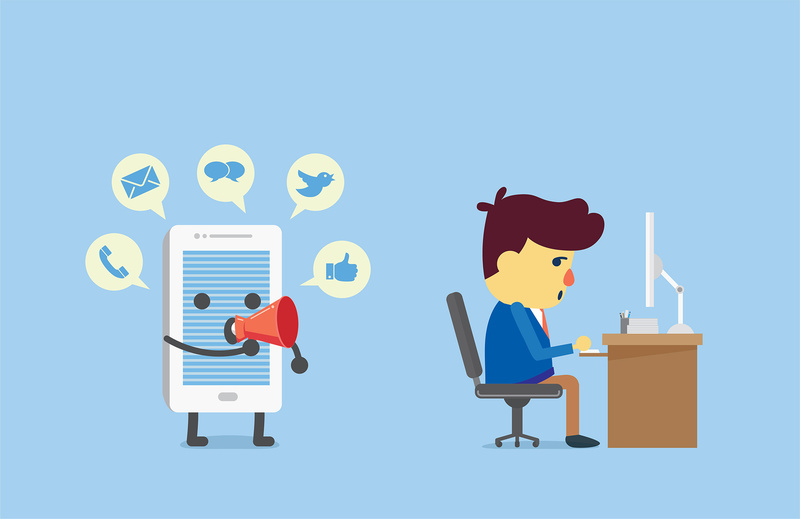 Inattentive is where an individual is easily distracted, which is the characteristics of ADD. Hyperactive is where an individual is restless, always moving and cannot stay still, as well as talking excessively and often fast. Impulsive is when an individual does risky activities with little to no thought, combined with the inability to be patient and think an action through. A diagnosis of ADHD can accompany any combinations of these key parts. The condition is a very common diagnosis among children. I’m sure many of you may be thinking, “These symptoms you just described are typical of children.” Very true, and we will get to that in just a moment. 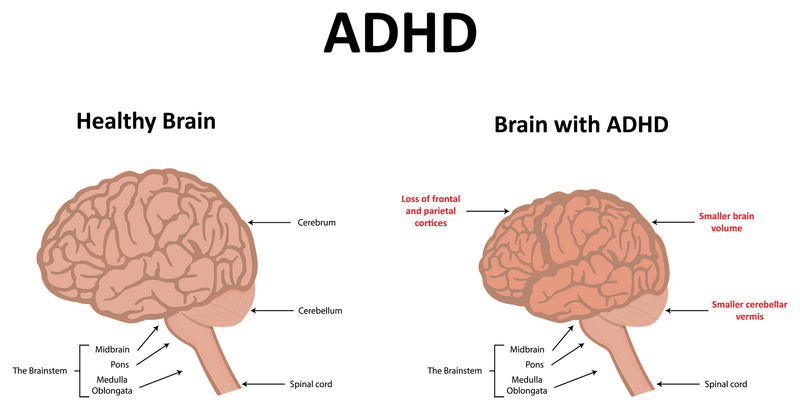 With ADHD, however, there is some evidence to suggest that it’s a brain disorder, in how the brain forms and functions. Difference in brains, as with most any mental disorder, can often be seen on brain scans. Despite the changes in brain function and chemistry, as with other mental disorders as well, we have to look at two other key components, nature and nurture. This debate is one you may have heard about time and time again. It basically means that behaviors and even mental disorders can stem from nature, as in biology and genetics, or from nurture, as in what a child learns and is taught growing up. I believe the middle ground, that some disorders have a higher chance for being passed on through genetics, as well as how the child is raised. I’ve personally known people who were separated from their parents from birth, exhibited mental disorders, then found their real parents with similar problems. In addition, I’ve known people who have no family history of mental disorders, were raised in a chaotic environment, and abused, and developed severe mental disorders as a result of the abuse, often labeled as a condition that cannot be developed in this manner. Both genetics and how a child is raised play a huge impact. Parents cannot be blamed for everything, but they certainly should be held accountable if they neglect and abuse their children. As with any mental disorder, or just any impairment to the traditional way of thinking and behaving, there are going to be pros and cons. Those with mental disorders tend to be more creative and expressive. But, any medication to get this individual back to ‘normal’ will destroy the potential they have with creative endeavors. This is why it’s so important to find ways of dealing with the symptoms in a more natural way over synthetic chemicals that numb and destroy potential. It’s about finding the right career and work environment for the individual, as opposed to the person conforming to a society that says it’s abnormal to think and behave in this manner. When I was a child, I was diagnosed or close to being diagnosed with ADD or related disorder due to my inability to stay still and focused. At the time, medication was going to be a treatment, but other family stopped it. I can tell you right now that if medication were to have been prescribed and I was taking it when I was so young that it would’ve ended with severe impairment of my abilities and creativity. These symptoms mentioned earlier, a lot of us deal with them, including myself, which is why the work I do is so creative and my own, which gives me the freedom I need to be happy and use any disadvantage I have related to my inability to focus for too long to my advantage to the point that I love what I’m doing and actually get into a trance doing it. So learn to realize that there are activities that will give you these rewards for your creative work. What are some other possible causes of ADHD-like symptoms? There are many things, especially with the world we live in today, that can cause individuals, especially developing children, to become easily distracted, unfocused, and leading to dopamine in the brain to be less effective, as is often correlated with individuals with ADHD. One of the biggest ones is over stimulation to the child, which causes an oversaturation of dopamine which can impair what is thought to be a major core element in those with ADHD. Imagine a child being exposed to constant stimulation without rest. This includes things like technology which wasn’t as advanced as it was when I was growing up. This is such a big one. We have television with colorful children’s shows, video games on consoles and phones, an endless supply of games to be exact available for download on these devices, as well as the wealth of information and things to do and look up on the Internet. Children get sick of the TV, they go on the game, and when they are done with that, they go to the phone for other games, switching endlessly between app here, app there, photos, Internet, games. There is no break and it burns the child’s dopamine receptors. If there is a break, the child becomes bored and doesn’t know what to do. Why is that? Because we are overstimulating our children with technology and when there isn’t any, what is there to do? Seriously? Ask this question to yourself. If you lose power and are without any electronics and no phone reception, do you know how to keep yourself occupied? Do you just fall asleep? Or do you literally don’t know what to do and feel like you are going insane? The amount of people who would say the latter is staggering. Technology has spoiled us and is creating major problems in our lives if we don’t know how to properly utilize it. Another theory could be diet. A poor diet, lacking in essential vitamins and minerals a child needs could cause the body to starve for these missing elements. The body and brain then try to function without them, which could cause an impairment in thinking and ability to focus. If these two things are in check, and the child has a healthy family environment at home, and they still have difficulties, then it’s time to look at any other causes or factors, as well as ruling out the typical child activities and behavior. After all that, then an ADHD or other mental disorder diagnosis should be considered. While ADHD is a legitimate diagnosis and mental disorder, does this mean that everyone diagnosed with it has it? Let’s look at an example. A mother takes their child to the therapist for exhibiting symptoms of hyperactivity and inability to follow instructions and orders, as many children do obviously since it’s normal. After just one visit, the doctor sees the problem the mother has described, diagnoses the child with ADHD, and prescribed medication. What is the problem with this picture? Everything is a problem with this picture. A diagnosis was made after just one visit, with just an evaluation of the current presentation the child has made, as well as no background history of the child and limited information regarding the home and school environment of the child, or rather the parent’s interpretation of it. The diagnosis is made that says there is something abnormal with this child and we have to change it with medication so the child conforms and behaves. The drugging of children is extremely dangerous and toxic to the health and future of that child. Furthermore, what if the child only behaves this way when they are around their mother, thus if the child’s father brought them in, the therapist would see a different child. Does this child actually have ADHD and should be on medication? No, I don’t see it. Rather, I see a corrupt medical industry profiting off the ideology of there is a problem, the symptoms are being exhibited, here is a pill to prevent the symptoms. This completely ignores the problem to begin with, which could in fact be that the child is being neglected by their mother so they act out for attention from them. What is so concerning is this scenario is so common. Doctors, especially psychiatrists, always push for medications. The reasons being is because it’s easier to have a quick fix than it is to actually have family counseling to see where the problem lies. Not to mention the money generated from a young child diagnosed who are supposed to be life-long customers of the pharmaceutical industry. Any side effects that crop up as a result for the medication are also counteracted with more medication. Everything is a mental disorder these days. You got a child who is behaving like how a child should, spontaneous, high energy, even defiant and throws temper tantrums on occasion. Typical child things. Nope, that’s now a mental disorder. Every child has a mental disorder. Everyone has a mental disorder. And guess what, there are psychiatric medications for all of it. Go see a doctor and get your prescription today. You have side effects from the medication, they have a pill for that as well. Take them all, don’t ask question, do as you are told, obey. That is the world we live in, which is incredibly troubling. A psychiatrist is someone who can prescribe medication, which is different from a psychologist which specializes in more talk therapy. Both psychiatrists and psychologists can be extremely corrupt, which is no wonder the pharmaceutical industry is a huge money maker. The reason why it is so corrupt is due to what I just mentioned, because everything is labeled as a mental disorder and there is a medication to treat those symptoms. After all, this is the type of false science that is taught to psychiatrists and psychologists, to look for anything they deem as abnormal and is in the mental disorder book, known here as the DSM, which these days is everything. Psychiatrists can even prescribe medication during a minor depressive episode someone may have versus chronic depression. It’s normal to feel depressed if you just lost someone close to you, but not according to psychiatry. Your depression is a mental illness and there are meds to help you not feel depressed anymore. Numbing the pain so the person doesn’t know how to deal with the problem, like a crutch. Think of it like lifting weights, you have to lift stronger and stronger weights to see improvements and gains. 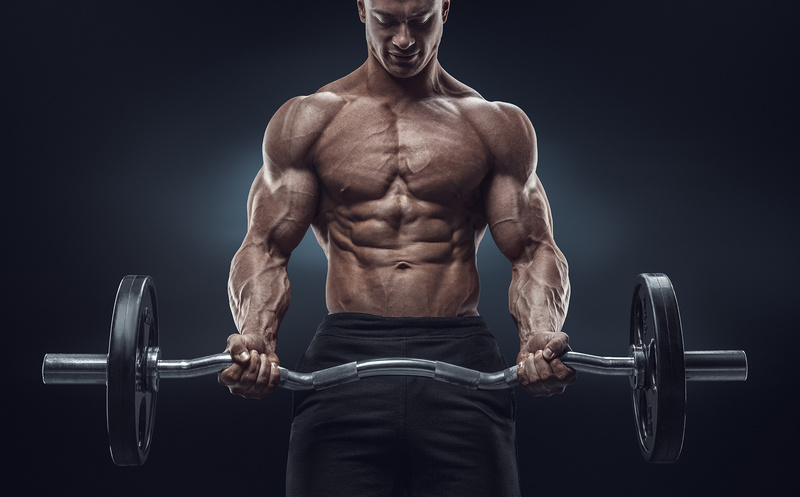 If you lift small weights because they are easier and expect gains, then you will make little to no progress because you are putting no effort into improving. Medication, for some people, can be this crutch. When you treat the symptoms instead of the cause of these symptoms, you never get to the root of the issue and will never overcome it. When you realize that this is how medical science works, it’s easy to see the flaws and holes associated with it and how advances in treatments don’t actually address the real problem, but cover up and mask the true issues that are under the surface that need to be discovered and worked on for a stronger, more well rounded individual. This is why I firmly believe that a diagnosis of ADHD is largely that of a scam. It is a real disorder and affects the people who have it, but the amount of cases and legitimate diagnoses is largely inflated due to a misdiagnosis, whether it be intentional or unintentional by the doctor. Medication can only do so much, and for those that have been improperly diagnosed, it can cause more harm to the individual than it could possibly help, especially if the root cause had never been addressed. So the conclusion here is that ADHD is characterized by symptoms of being easily distracted, restlessness, always moving and cannot stay still, as well as talking excessively. However, it is not nearly as common as it should be due to a misdiagnosis, environmental factors, and medical science deeming everything as a mental disorder. In those cases, we need to look much harder for what is causing the behavior, not how to treat the symptoms of the behavior. I had received so many requests to do a video about ADD/ADHD, and I’m sure this one is not what many were expecting. I do believe that this is a real condition, but that only a fraction of people who have been diagnosed with it legitimately have it. Rather, I see ADHD as a condition that is used to profit off children. That’s why it’s increasingly becoming more and more common for children to be diagnosed. That and what is causing this type of behavior, which is the modern world we live in filled with technology and unlimited stimulation.